All the cards are all handmade individually made by me and are unique. I use a variety of techniques and materials, most of my cards being mixed media. I have been using photographs for my work over many years and find these an inspiration for my designs. Many of my cards are made by stitching directly on to a photograph. This photograph was taken in Corfu last year. I find water very relaxing and love to use images of water within my work. 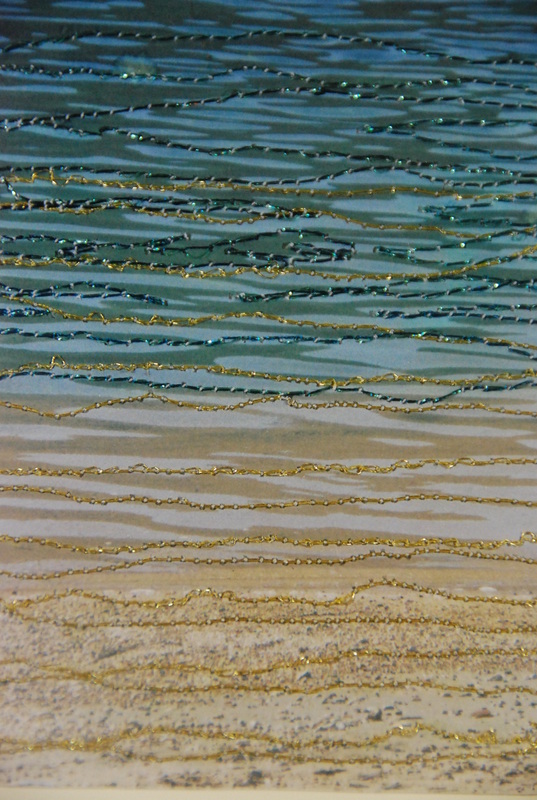 Using sparkling threads brings the picture to life, it feels as though the sun is dancing on the water.